Michael Lowry is standing as an independent candidate in Tipperary North, seeking a seventh consecutive term as the constituency's deputy. 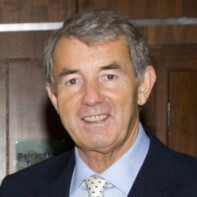 Lowry, who was first elected as a Fine Gael candidate in 1987, played an important role in the negotiations which led to the formation of the rainbow coalition in 1994. He was subsequently appointed as Minister for Transport, Energy and Communications. Lowry split from the Fine Gael party in 1996 and, since that time, has been re-elected on the first count in each general election. Lowry was instrumental in organising the first Feile music festival in Tipperary's Semple Stadium in 1990 as a means of paying off some of the stadium's debts. I could think of a few other ‘Did you knows?’ for this candidate. Taoiseach Enda Kenny said today he believed Tipperary TD Michael Lowry should resign following the Moriarty report’s damning findings against him. Tánaiste and Labour leader Eamon Gilmore yesterday that it was his view Mr Lowry should resign from the Dáil following the publication of the report. Follow the money, they say. So did Denis O’Brien give money to Lowry? Yes. The report lists three sums from O’Brien to Lowry – payments of £147,000 stg and £300,000 stg and a “benefit equivalent to a payment” in the form of O’Brien’s support for a loan of £420,000. The payments were made through intermediaries and some were made offshore and, the report says, they were made because Lowry was the minister for communications. Steps began to make the first payment less than seven weeks after the mobile phone licence was granted. This sum was repaid, but the tribunal says this was because of a fear that it would be disclosed to the McCracken tribunal. Well, at least Lowry isn’t as bad as Charles Haughey? Well, the report actually says he displayed similar qualities to Haughey’s, in his “cynical and venal abuse of office, the brazen refusal to acknowledge the impropriety of his financial arrangements with Denis O’Brien and Ben Dunne, and by his contemptuous disregard for his taxation obligations”.